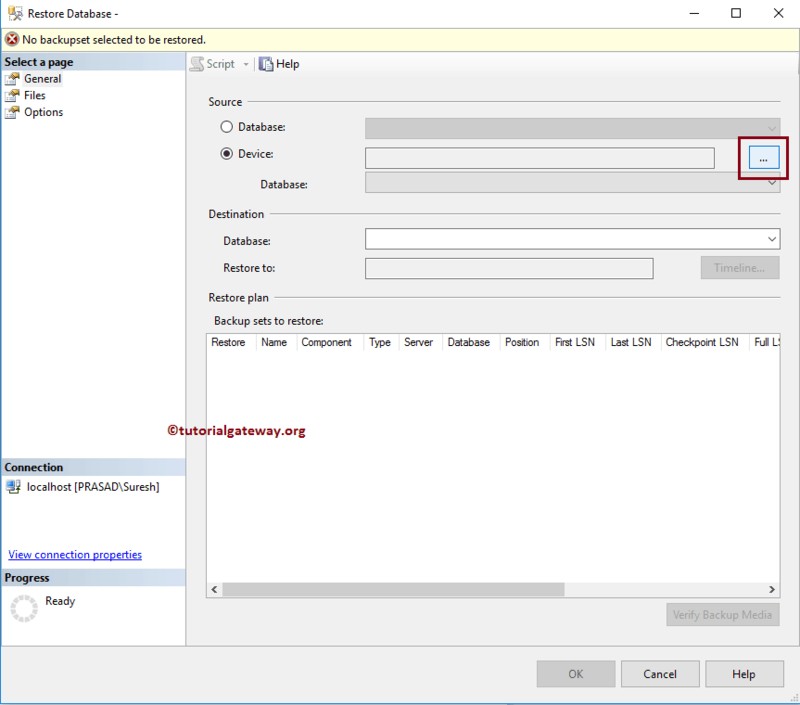 AdventureWorks Database is a sample database available online. 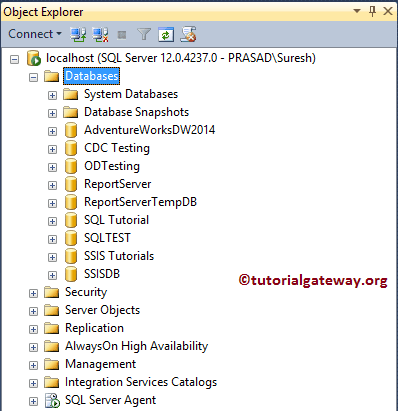 You can use this database to practice each and every function that we specified in this SQL Server Tutorial. 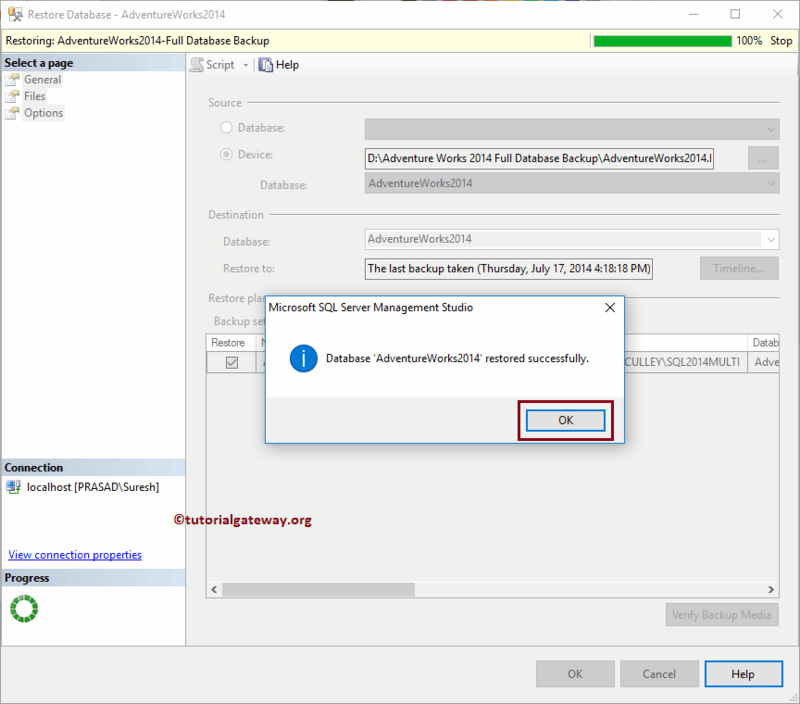 In this article, we will show you the step by step approach to Download and install AdventureWorks Database with screenshots. 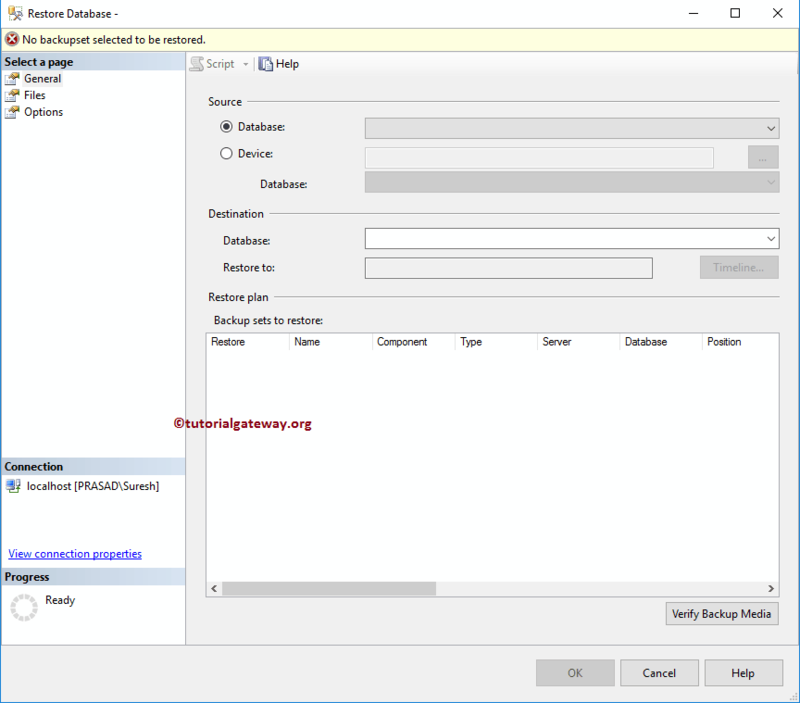 Before we start installing AdventureWorks Database, let me show you the list of databases that are available in SQL Server. Once the download is completed, please unzip the file. 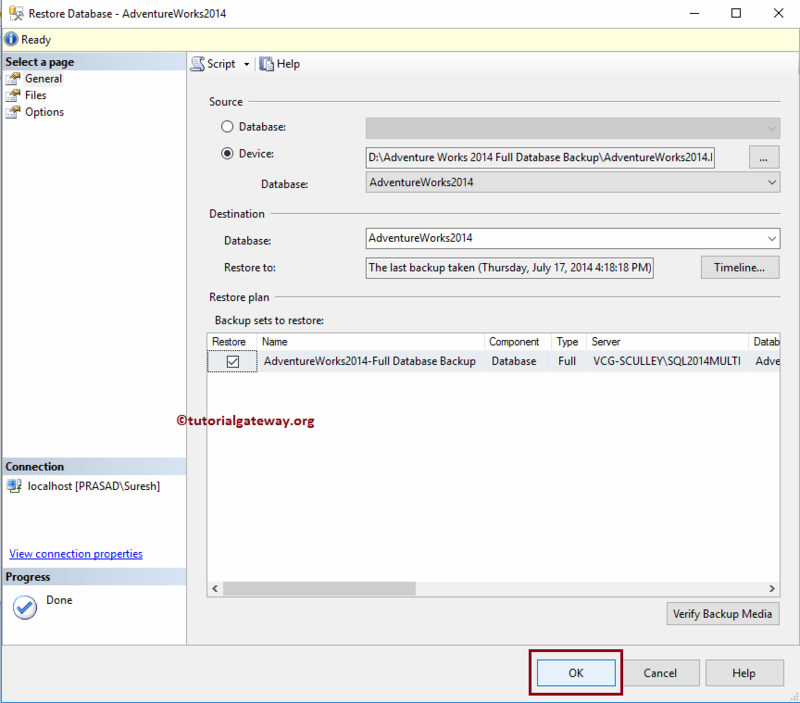 Below screenshot will show you the Unzipped file of downloaded AdventureWorks. 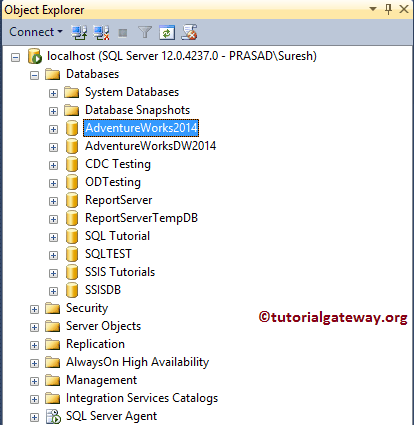 To install AdventureWorks Database, Go to the Object Explorer. 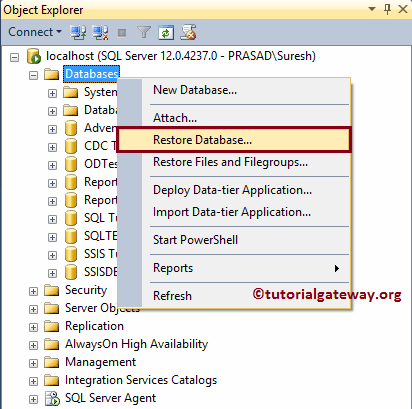 Right-click on the Databases and select the Restore Database.. option from the context menu. 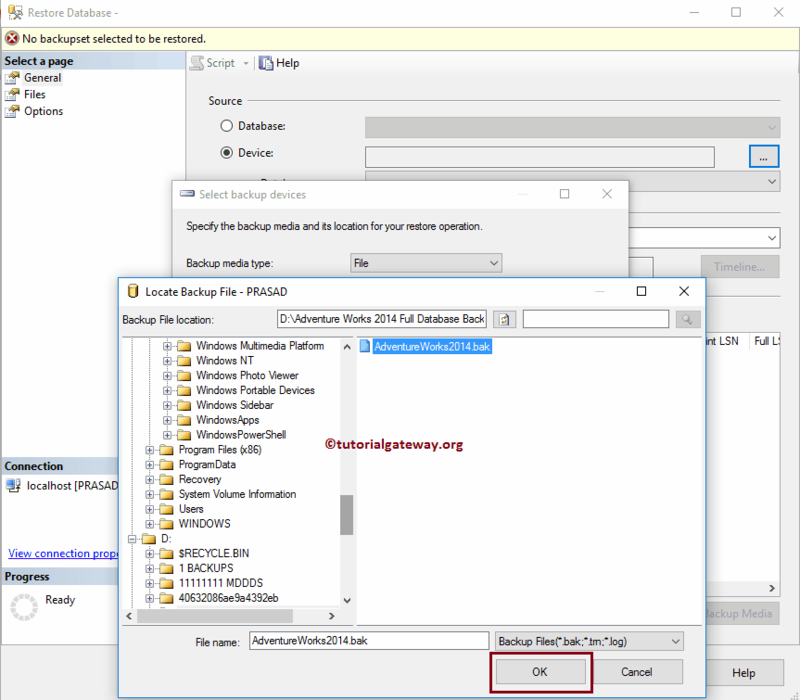 Once you select the Restore Database.. option, a new window called Restore Database will be opened as we shown below. 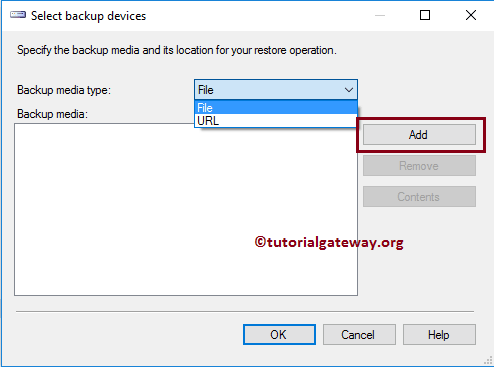 Clicking the Browse button will open a Select backup devices window. 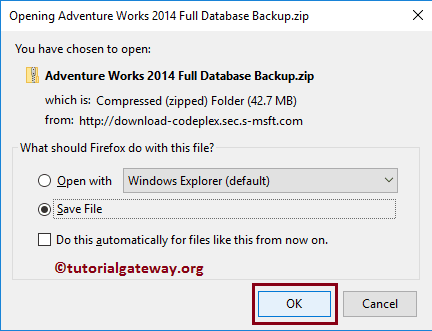 please click on the Add button to add or install AdventureWorks backup file. From the below screenshot you can see, we are selecting the AdventureWorks.bak file present in the file system. 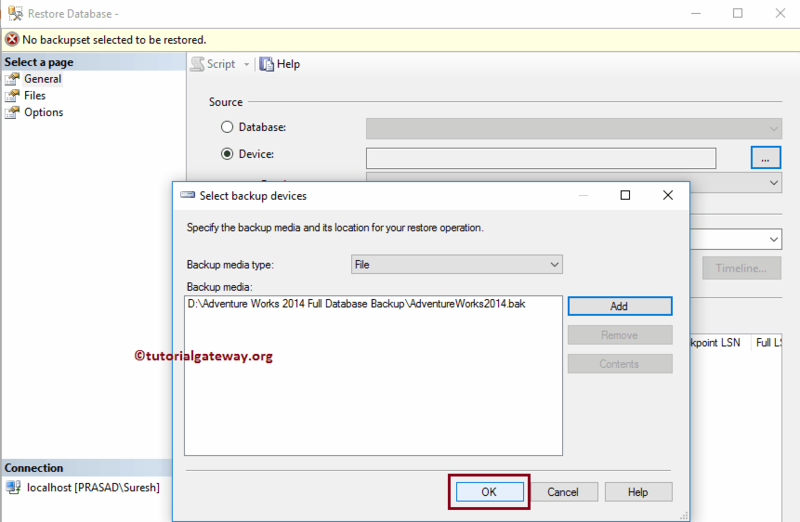 Click OK to restore the Adventure Works database. If everything goes well then the following message will be displayed. 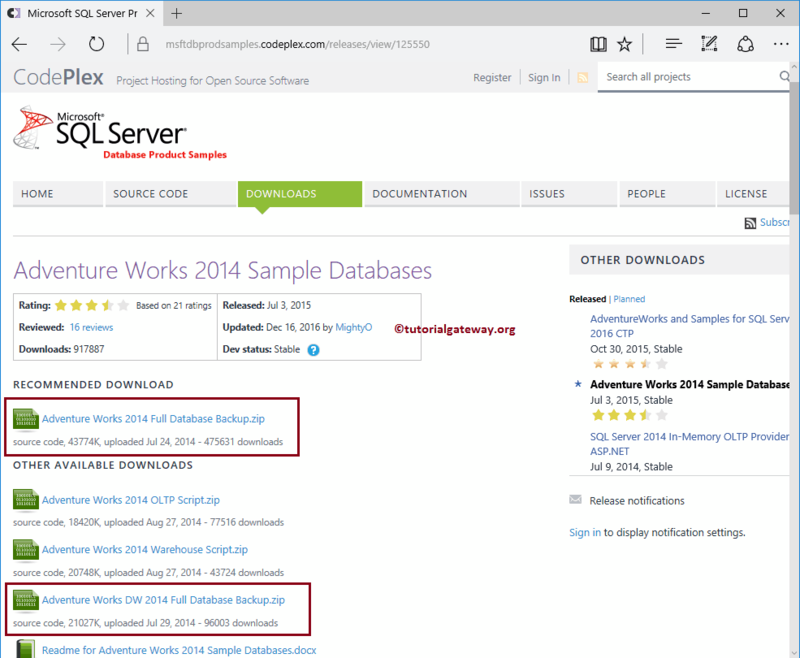 Please refresh the Object Explorer to see our newly installed AdventureWorks database. 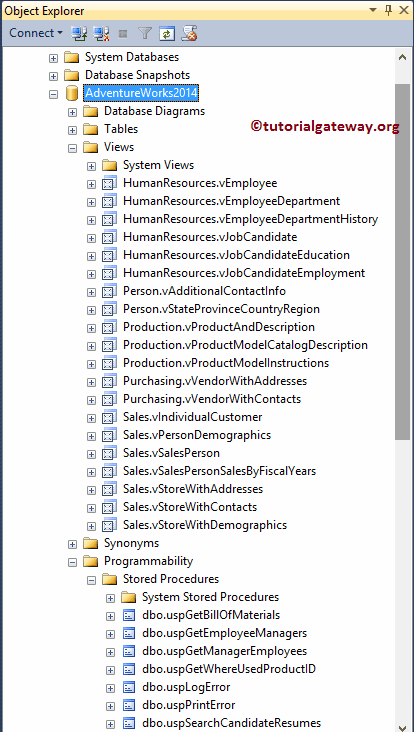 You can see the View, Stored procedures, Tables in this Adventure works. Please explore each and every folder to understand the data.